Vegan Thai Iced Tea | Made in 5 minutes with just 5 ingredients! 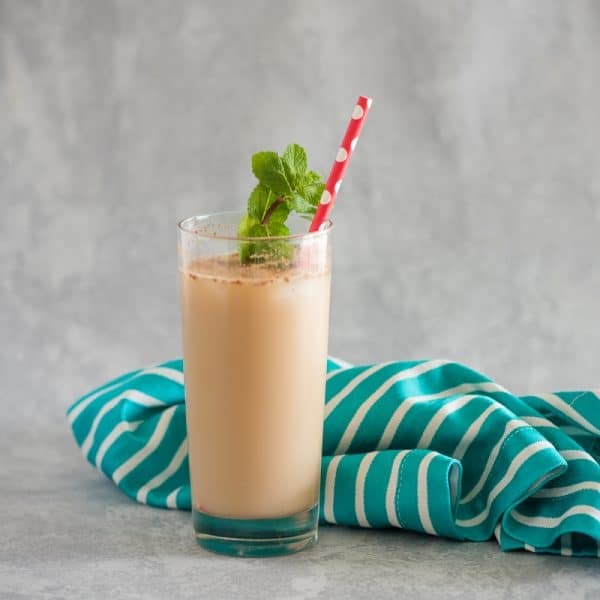 This Vegan Thai Iced Tea puts a twist on the classic Thai beverage. 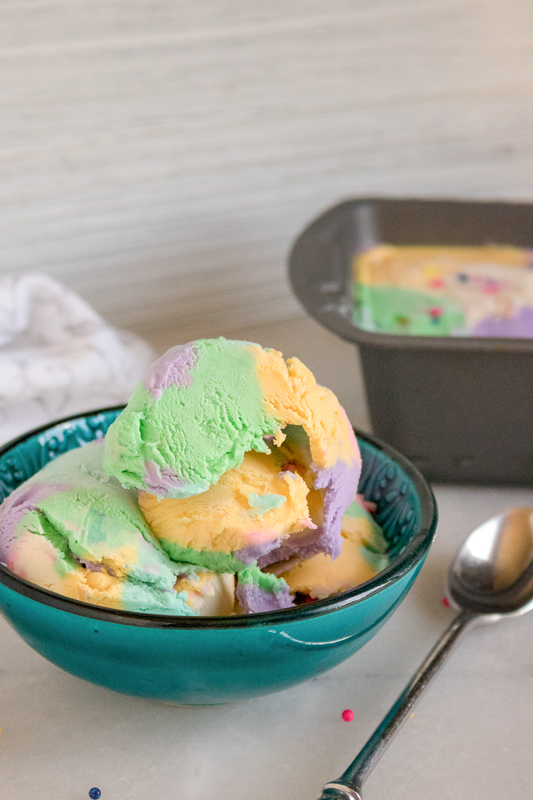 It’s sweet, creamy, and refreshing. 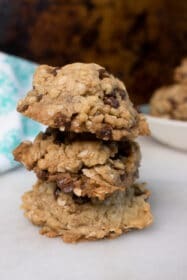 And best of all – you only need five simple ingredients and a few minutes to pull this sweet treat together. It’s no secret that Thailand is one of my favorite places on Earth. I was lucky enough to spend my honeymoon there, visiting the beautiful temples and elephant sanctuaries in Chiang Mai and the incredible beaches in Krabi. And the trip also spurred my obsession with Thai flavors! I love experimenting with Thai food and trying to recreate some of the special dishes I encountered there. And one of my favorite treats is definitely Thai Iced Tea. What is a Thai Iced Tea? Thai Iced Tea is popularly served as a street food in Thailand, although it doesn’t always look much like the orange-colored versions we see in the US. 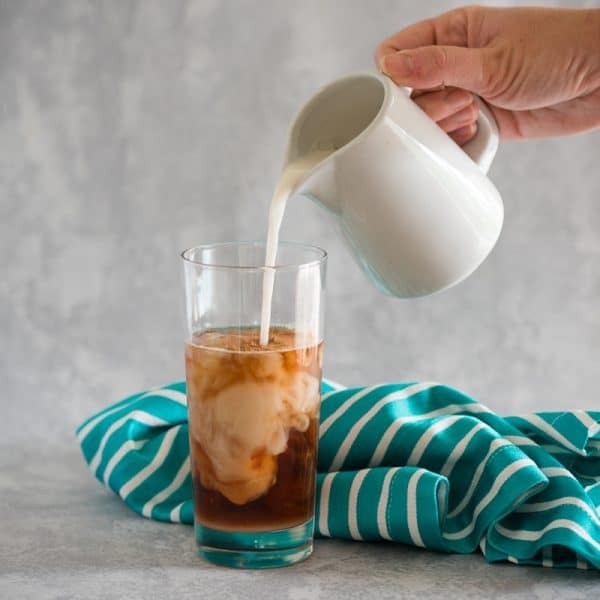 Traditional Thai Iced Tea is a simple blend of black tea, sweetened condensed milk, and crushed ice. And it’s often served by street vendors in simple plastic bags. Yes, in a plastic bag. With a straw. A bit different than what you find at your favorite Thai restaurant. But still totally delicious. Once Thai food became popular in the US, the recipe began evolving to include all sorts of spice and flavor combinations. 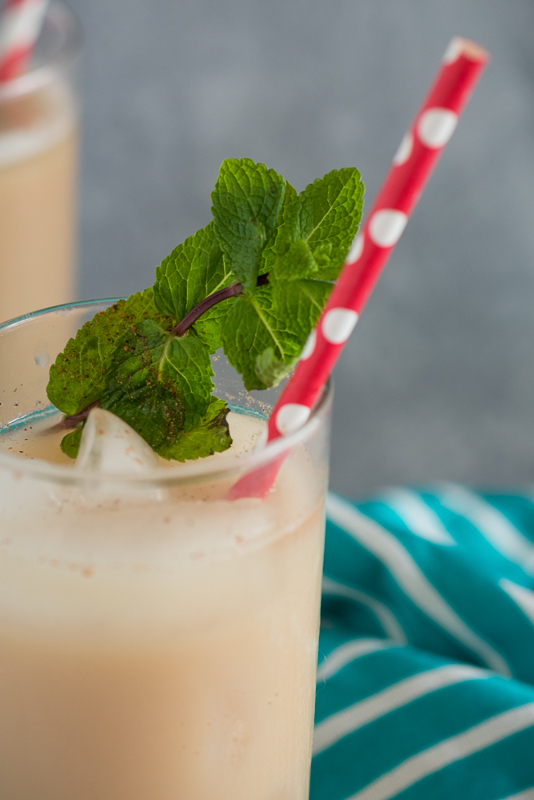 I like to keep things simple with just a little dash of cardamom in my Vegan Thai Iced Tea. 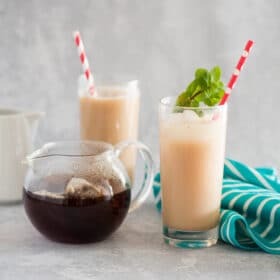 What kind of tea is best for Vegan Thai Iced Tea? 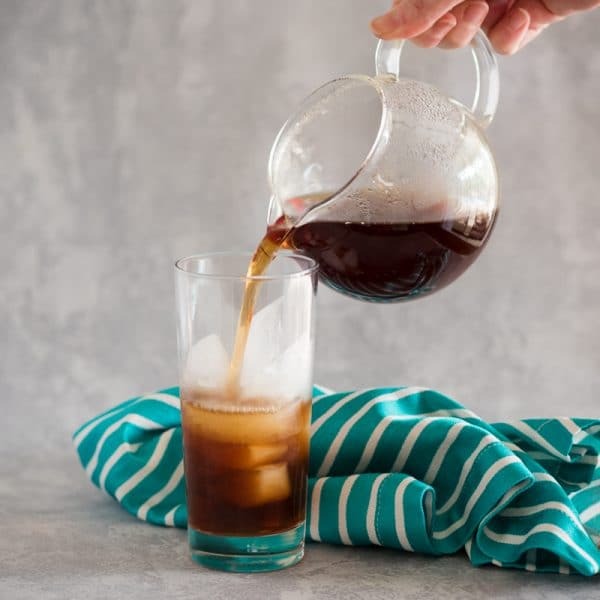 Traditional Thai Iced Tea is made with strong black tea. For my vegan version, I used Tetley® Iced Tea, which is specially crafted for brewing perfect iced tea. 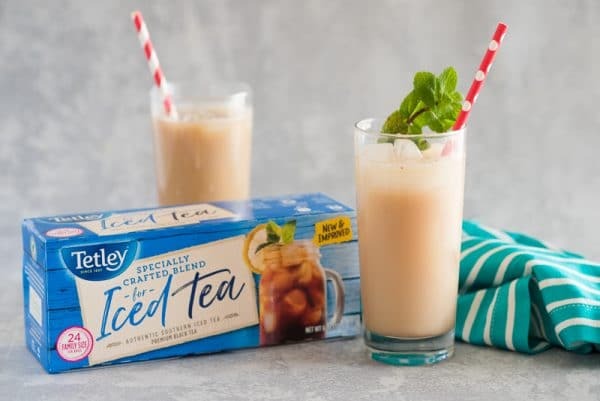 The Tetley Iced Tea contains 12% Nigiri Tea, which helps make the tea crisp, sweet, and flavorful. 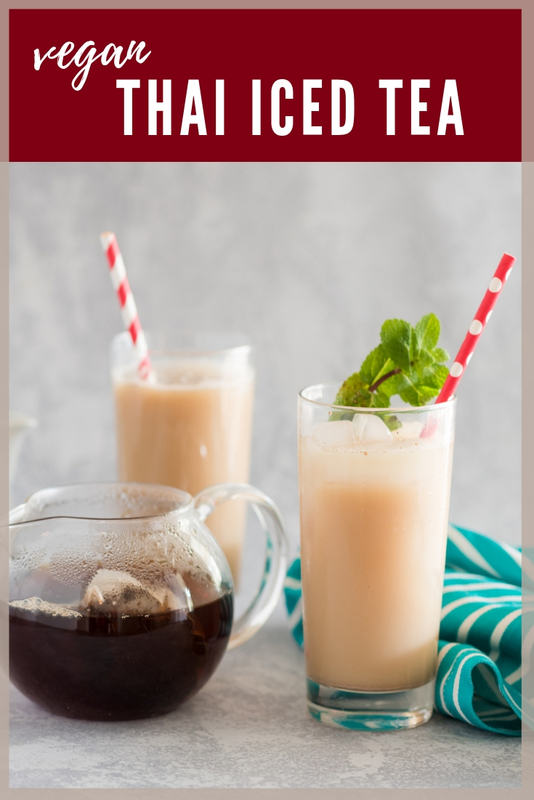 Since Thai iced teas are typically very sweet treats – this was a perfect match! I picked up the Tetley Iced Tea at Publix. And it’s actually on sale right now, so it’s the perfect time to give it a try. From now through January 29th, you can get Tetley® Iced Tea 24 ct. for only $1.50 at Publix. You won’t even believe how simple it is to make this incredible treat. I was able to pull the whole thing together in about 15 minutes, which included brewing my tea! First, brew your tea. I used a kettle to heat my water to a boil, then poured it over my Tetley Iced Tea bags. Let the tea steep for a few minutes, until it’s a nice deep color. Next, simply fill a glass with ice and pour over the brewed tea until the glass is about 2/3 of the way full. Then, stir a spoonful of sugar into the glass. 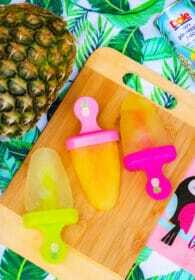 I like mine very sweet so I used about two tablespoons of sugar. Feel free to adjust the amount to your preference. 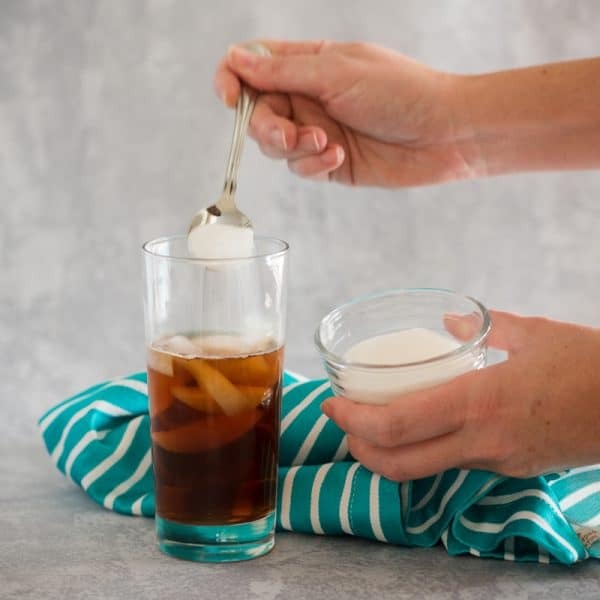 If you prefer to skip the refined sugar, you can use an alternative sweetener like maple syrup or coconut sugar for your vegan Thai iced tea. Next comes the cardamom! 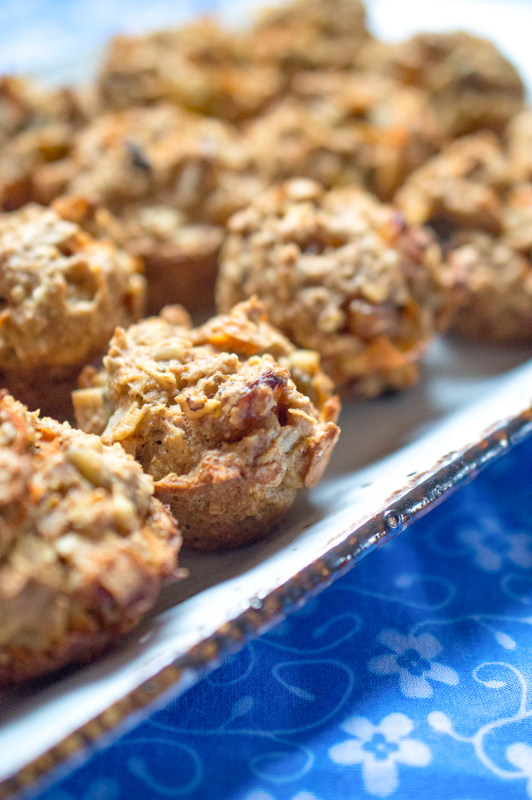 You’ll only need to add a small pinch as the flavor is very strong. 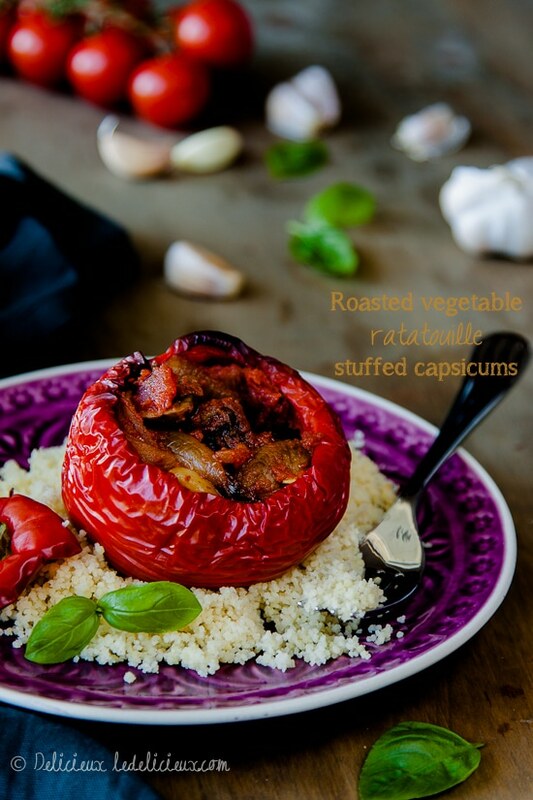 You can experiment with other flavors as well, such as star anise or crushed tamarind, if you’re feeling adventurous. And then simply top off the glass with almond milk, or your favorite dairy-free milk. 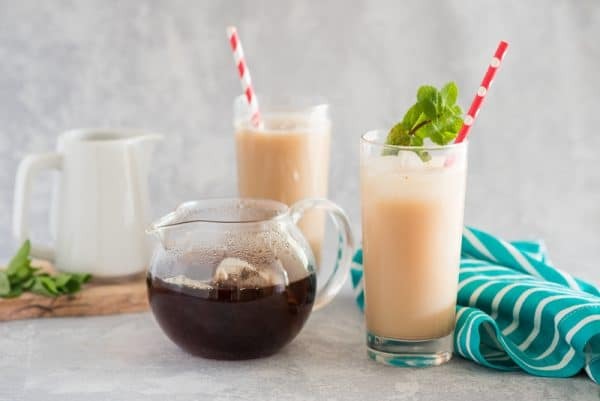 Coconut milk is another great vegan alternative, which will lend a coconut flavor to your Thai iced tea. Then stir to blend all the ingredients. 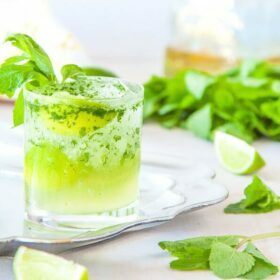 And if you like, you can garnish your Vegan Thai Iced Tea with a sprig of fresh mint or basil. 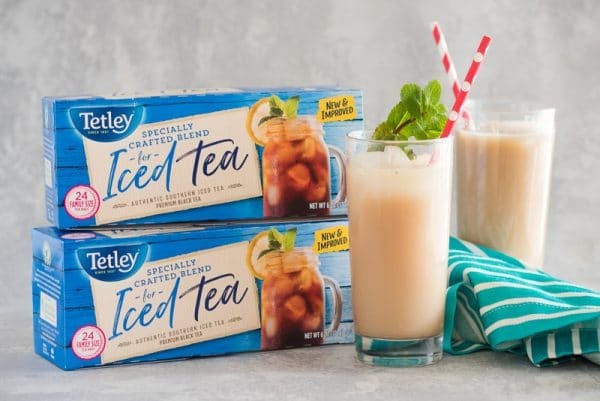 Don’t forget to check out Tetley Iced Tea at Publix while the offer lasts! From now through January 29th, you can purchase Tetley® Iced Tea 24 ct. for only $1.50 at Publix. Heat the water to a boil. You can use a tea kettle or a small pot on the stovetop. Add the tea bags to the hot water, and allow to steep for five minutes. Fill four drinking glasses to the top with ice. Pour over hot tea, filling each glass 2/3 full. 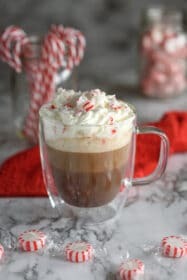 Add a small pinch of cardamom to each glass. Stir. Top each glass with almond milk, filling to the top. Stir. 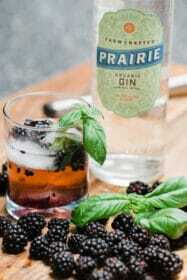 If desired, garnish with a sprig of fresh mint or Thai basil. 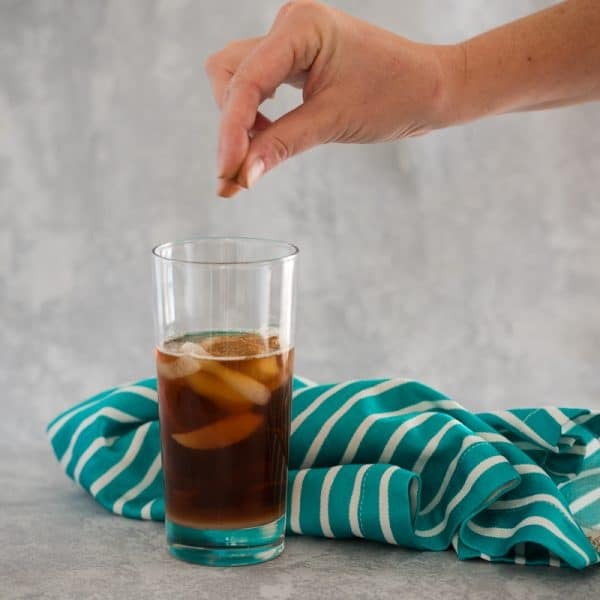 Exact measurements will depend on the size of your drinking glass. You should fill each glass approximately 2/3 of the way with tea, and 1/3 of the way with almond milk.